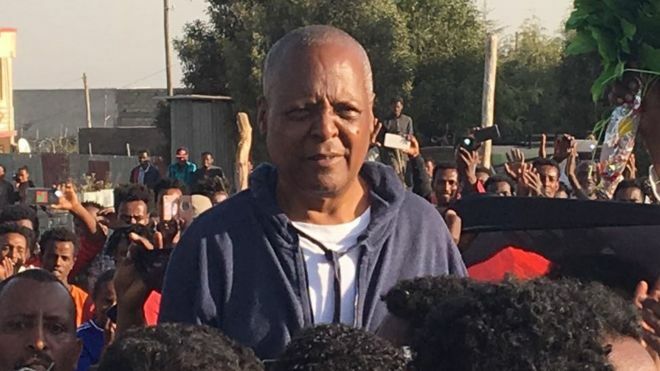 Jailed Ethiopian opposition leader Merera Gudina has been freed after more than a year in detention. The leader of the Oromo Federalist Congress was released on Wednesday morning and allowed to go home, where he was welcomed by thousands of people. The Ethiopian government announced on Monday that it would drop charges against more than 500 suspects. The government has denied holding any political prisoners but says the releases will foster national debate and "widen the political sphere". Those being freed will first undergo two days of "rehabilitation training", the government says. At the beginning of January, Prime Minster Hailemariam Desalegn announced the government would close Maekelawi - a detention facility in the capital, Addis Ababa, allegedly used as a torture chamber. Why was Mr Merera arrested? Mr Merera was arrested in November 2016 at the airport in the capital, Addis Ababa, after he flew in from Brussels. He had violated Ethiopia's state of emergency by having contact with "terrorist" and "anti-peace" groups, state-linked media reported at the time. 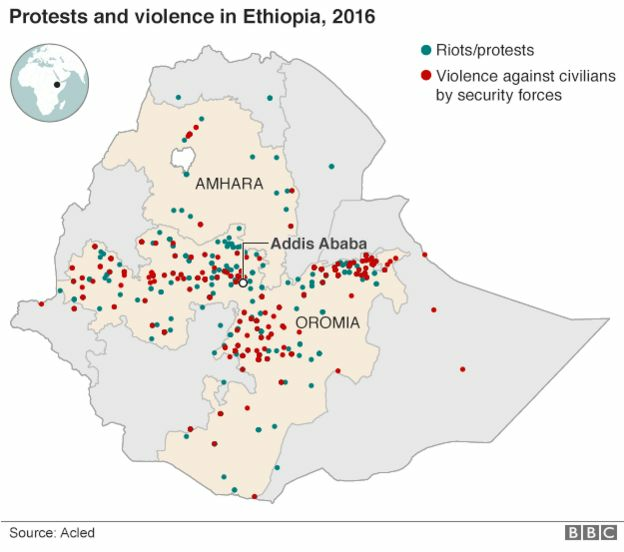 More than 11,000 people were arrested, mostly in the Oromia and Amhara regions, which were at the forefront of anti-government protests. Many in the two regions complain of political and economic marginalisation. Who else will be freed? It is still not clear which other politicians will be released. Ethiopia says it will not free anyone convicted of using force to overthrow the government, destroying infrastructure, murder or causing physical disability. However, it says it will pardon some of those convicted under the anti-terrorism law. Critics and human rights groups have accused the government in the past of labelling its opponents, and some journalists, as terrorists. Rights group Amnesty International says the release of Mr Merera and other prisoners should not be the last. "Hundreds of prisoners of conscience continue to languish in jail, accused or prosecuted for legitimate exercise of their freedom of expression or simply for standing up for human rights," Amnesty's Netsanet Belay said. Bekele Gerba, deputy chairman of the OFC - arrested together with Dejene Fita Geleta, secretary-general of OFC, and 20 others in connection with the 2015 Oromo protests that resulted in the death of hundreds of protesters. Andargachew Tsege, leader of Ginbot 7 (designated a terrorist group by Ethiopia) - arrested in 2014 while on transit in Yemen and taken to Ethiopia, where he faces the death penalty after being convicted in absentia. A British national, human rights groups have been pushing for his release. Andualem Aragie, vice-president of the Unity for Democracy and Justice party - imprisoned since 2011, and now serving a life sentence on terrorism charges. Eskinder Nega, journalist and blogger - imprisoned since 2011 after criticising the use of anti-terror laws to silence the press. He was subsequently sentenced to 18 years in jail. Woubshet Taye, journalist and editor - imprisoned since 2011 and sentenced the next year to 14 years in prison for terror-related offences.